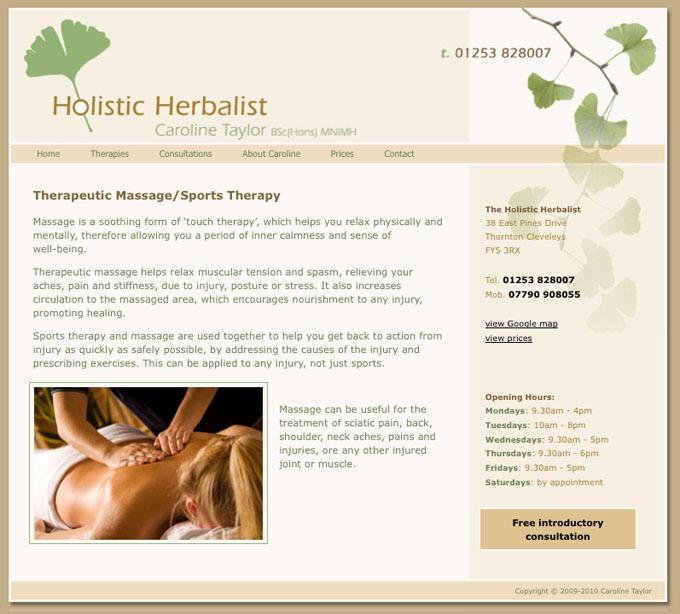 Caroline Taylor, Holistic Herbalist, provides holistic and natural healthcare, herbal medicine, therapeutic massage and sports therapy. We discussed ideas for a logo with the client and came up with a design based around a gingko leaf. This was used to produce the visual design for the website which was then constructed. We also designed a leaflet and business cards for this client and created a location map in Illustrator for the brochure and website.